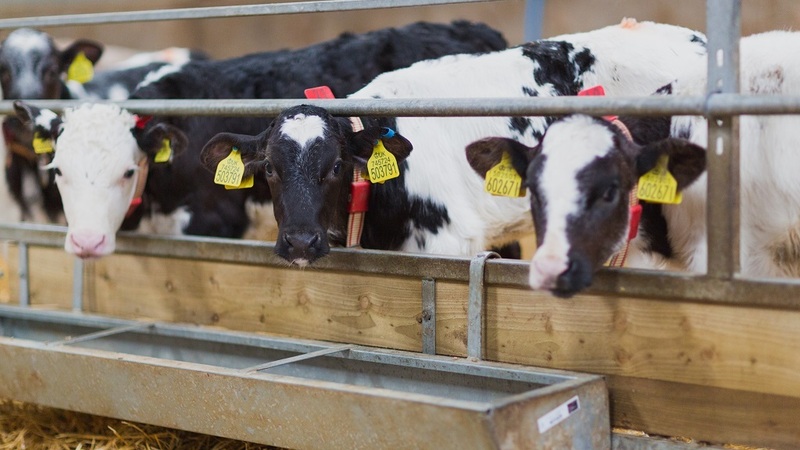 According to DEFRA, approximately 160,000 calves die annually as a result of pneumonia and related illnesses, causing a potential loss of £99 million to the sector. Pneumonia is one of the biggest issues that calf rearers can face. Due to their weakened immune systems, weaned calves are more vulnerable to contracting viruses, such as bovine respiratory syncytical virus, bovine virus 1, bovine rhinotracheitis, parainfluenza-3-virus , bovine coronavirus and lungworm; all of which contribute to calves contracting pneumonia. The illness can result in serious implications that impact the calf’s welfare, causing loss of form and stunted growth, which both contribute to poorer yields and productivity. If additional conditions are present it may also lead to lower food conversion rates, laboured breathing and stress. 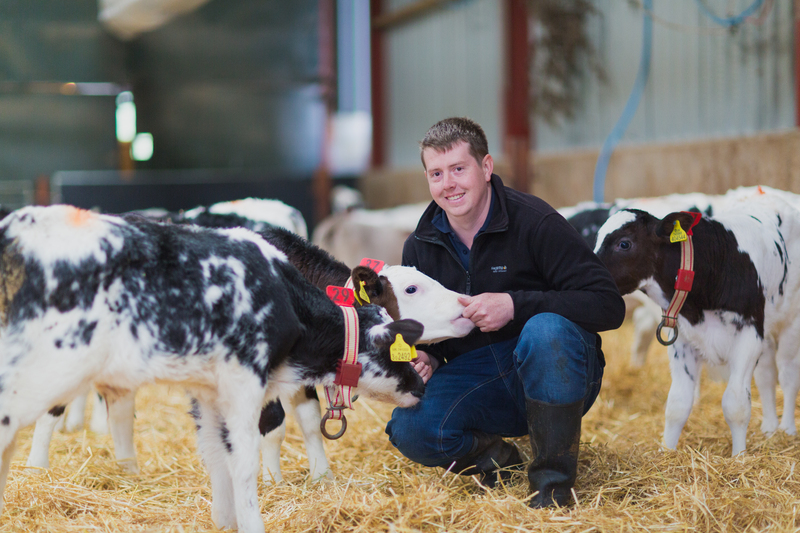 Someone who understands the seriousness of calf pneumonia first-hand is calf rearer and BBC Young Farmer of the Year 2012, Rhys Lewis, who deals with pneumonia at his family-run farm in West Glamorgan, South Wales. As an experienced calf rearer, Rhys has an average turnaround of 70 to 80 calves every few weeks. However, last year when Rhys came to move 50 young stock into another shed, he noticed that something was seriously wrong. One week into the relocation, Rhys was forced to call on his local vet who concluded that his stock had contracted pneumonia. At risk of losing his young calves, immediate action was taken to vaccinate every calf and treat them with a dose of antibiotics and anti-inflammatories. These unexpected vet bills had an instant financial effect, which Rhys knew could be catastrophic should a serious outbreak of pneumonia occur again. It is well-known that cattle housed in sheds with bad ventilation are far more susceptible to infection, as places that have stagnant and stale air, retain bacteria and viruses, which are passed on to livestock. Local vet, Gareth Mulligan, commented: “Pneumonia is probably one of the biggest problems that calf rearers can come up against. It has major implications, not just in terms of the welfare of the calves but also in terms of reduced weight gain. Rhys therefore decided to test the air movement in the building using smoke pellets. This simple test showed that the smoke was not being removed quick enough, which highlighted a ventilation issue that needed to be addressed immediately to prevent further problems with pneumonia. In order to keep his cattle at their healthiest, Rhys needed a solution that would allow the built-up warm, stagnant air to escape from the building, whilst allowing fresh air to be introduced in a controlled manner. It was at this point that Rhys contacted a fellow farmer who recommended agricultural ventilation specialist, Hydor. Through discussions between Rhys and Robin Hibberd, a ‎electrical, mechanical and commissioning Engineer at Hydor, it was decided that a Ventilation Sock System would be a worthwhile investment. Robin, commented: “In all cattle sheds it is essential that the building has a continual airflow to allow the fresh air to enter into the shed and mix, which will encourage the warm air to come up and go out through the roof unit – this is precisely what the Ventilation Sock System does. “Fitted above animal height, the plastic ducting contains small openings which allows air to disperse evenly to deliver a constant, but gentle, supply of fresh air and ensures even temperatures – regardless of outside weather conditions. "By providing fresh air direct to the animals, the system can be linked to temperature and humidity sensors which adjust the volume of air accordingly through the ducting. Rhys commented: “I’ve seen a significant reduction in vet bills, from treating calves with pneumonia. Since installing the new ventilation system we are treating 1 in 70 calves compared to 1 in 10 previously. "Having the ability to control air flow is a huge benefit and I can now adjust the environment to ensure the best possible conditions for my livestock. “I’m hoping to expand the business and double-up the system, so I’ll definitely be using Hydor’s Ventilation Sock System in the next shed too. 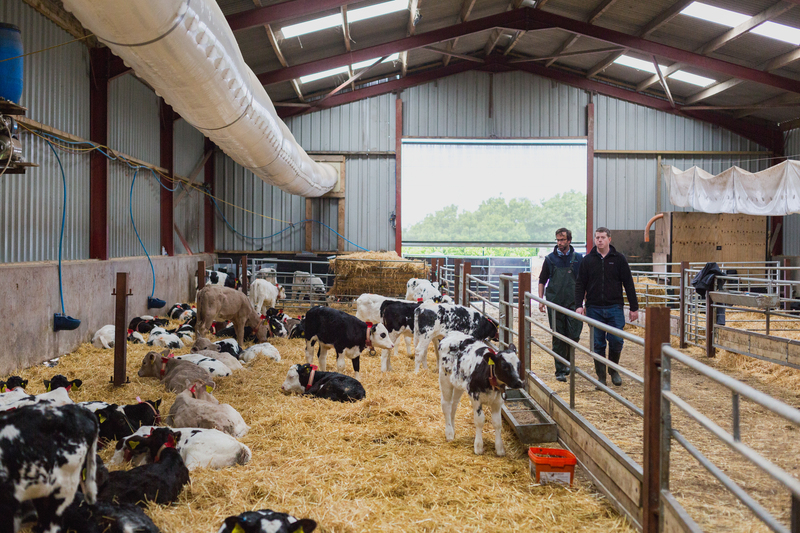 Robin added: “The Hydor Ventilation Sock System delivers the fresh air that is essential for creating a well-ventilated shed, whilst not causing a chill for the calves.